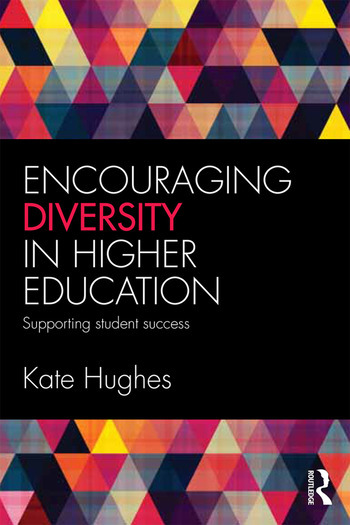 Encouraging Diversity in Higher Education: Supporting Student Success provides an overview of the widening participation movement in Higher Education in the United Kingdom, United States, Australia and New Zealand. It argues that universities should revitalise their learning and teaching practices to better meet the diverse learning needs of contemporary undergraduate students. • How can I enrich my undergraduate teaching? • How can I help undergraduate students engage fully with their learning? • How can help undergraduate students to quickly acclimatise to Higher Education? • How can I help undergraduate students from diverse backgrounds excel at university? This book discusses economic and discursive drivers used to increase the numbers of undergraduate students who were the first in their families to enter university, and some of the ways in which universities responded to the growing percentage of such students. In so doing, it considers the learning needs of diverse students, and discusses the views of academic teaching staff who have used transparent pedagogies in their classrooms. Including forty five teaching strategies designed to generate highly engaged, socially inclusive classrooms, this is the first book to offer both a theoretical background of the need to approach learning and teaching in contemporary universities in innovative ways, and a practical, step by step guide to using a suite of transparent pedagogies. These focus on building inclusive classroom communities, generating academic literacies, developing collaborative learning skills, and encouraging students to think critically. This book will be a useful companion for both early career academics and those with experience but dealing with a new student cohort. It will also be of great interest to those teaching or studying the many professional qualifications in tertiary education. Kate Hughes is the President of the Australian Sociological Association (TASA) and Senior Consultant of Teaching and Learning at the Australian Catholic University. She is the co-author of Australian Sociology: A Changing Society, the market leading undergraduate text in Australia, now in its fourth edition. Chapter 1: The Inclusive University? Kate Hughes is the President of the Australian Sociological Association (TASA) and a consultant in higher education. She has provided advice in higher education policy and practice to universities in Australia, New Zealand and the United States. She is the co-author of Australian Sociology: A Changing Society, the market-leading undergraduate text in Australia, now in its fourth edition.